How do you hide a courgette in your fairy cake? According to our new chef, Jules it’s easy! I know what you are thinking but its true. 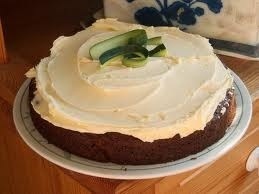 Courgettes in cake. So if your child has pushed away his or her plate of vegetables you can always give them a cake and they will never know. They think they’ve come out on top but in fact it is a hands down parental victory. I have hidden vegetables in bolognese sauce before but never cakes. The new chef is working out really well. The food quality is amazing and she has brought with her great new recipes and we will be publishing our four week menu soon and putting it on the website so that you will know exactly what your little one has been eating and enable you to plan your meals ahead. The children are really enjoying the food as well. The roast vegetable frittata went down a treat today. Tomorrow the vegetable soup for tea is going to be very nice served with fresh bread and butter.